Burned out shell of the Ruby Hill Winery, taken from the street. Pictures taken toward the west, April 2002, from the Ruby Hill housing area. It appears that only the northern and southern walls were still standing. Braces can be seen holding up the southern wall. Tree lines road leading to the winery, taken when the house was still present. 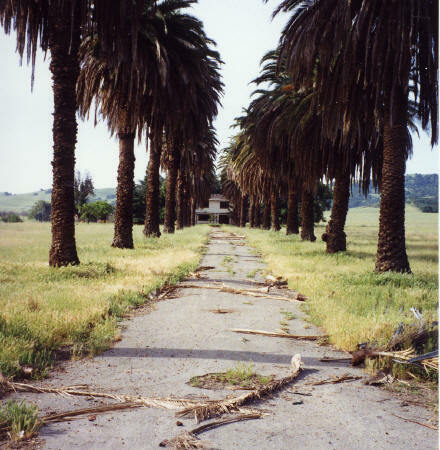 This photo was taken after the 1989 fire at the winery building. This photo Courtesy of the Livermore Heritage Guild. Tree lined road leading to the winery. 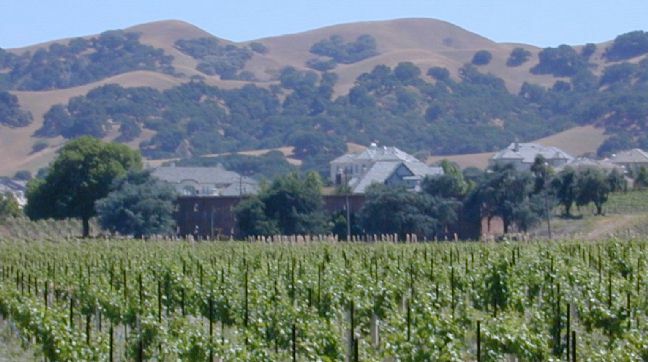 Picture taken in June 2000, before the new winery was built. 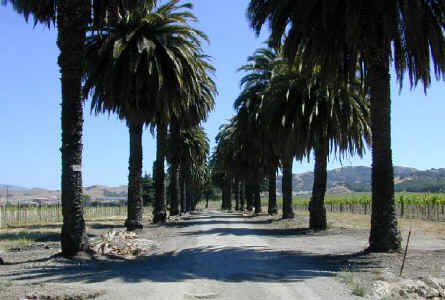 The road turns to the left beyond the palm trees and leads to the old winery, which is well off to the left.